At Barlows we been manufacturing made to measure furniture for over 40 years. We can help you achieve the ideal design and layout for your commercial setting. We have worked with many local business outlets in Birmingham and surrounding areas from banks to burger bars, providing quality furniture ranging from a single cabinet to complete in store solutions. 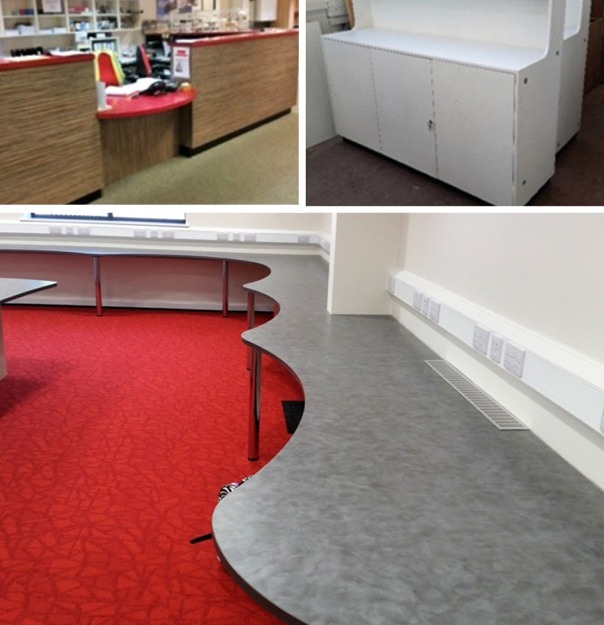 We can work directly with end users as well as building contractors and shop fitters to design and manufacture made to measure bespoke furniture. We have a large range of colours and decors available to choose from. We can work with you to create the “best fit” solution for your business needs and expectations. Our products are designed and built “In house” by Barlows experienced team of cabinet makers.